The San Marino Bed Frame by Verona features a traditional and robust design and showcases an attractively designed headboard and footboard. 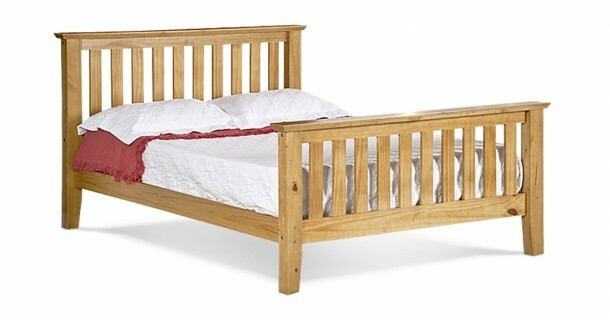 This bed frame would make an excellent focus point within any master bedroom and would suit traditional and contemporary decor alike and helps to maximise the space available in your room. The San Marino Bed Frame by Verona is made from pine offering a durable and long lasting frame. Please quote this Products's code 81014B to speed up your query if related.